Here's what I used, left to right: Illamasqua 'Taint', Sally Hansen: 'Mint Sorbet', 'Mellow Yellow', 'White On', and 'Lacey Lilac', and Essie 'Tart Deco'. After two coats of the brown dried completely, I started speckling. 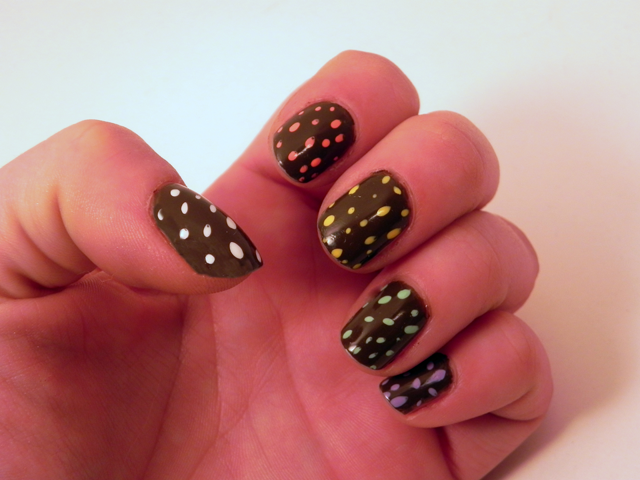 I wanted the speckles to be more irregular and random in shape, rather than dotted. So I used toothpicks and 'dotted' at different angles. This is SO cute! And yet so simple ^^ Love it! Oh so cool! 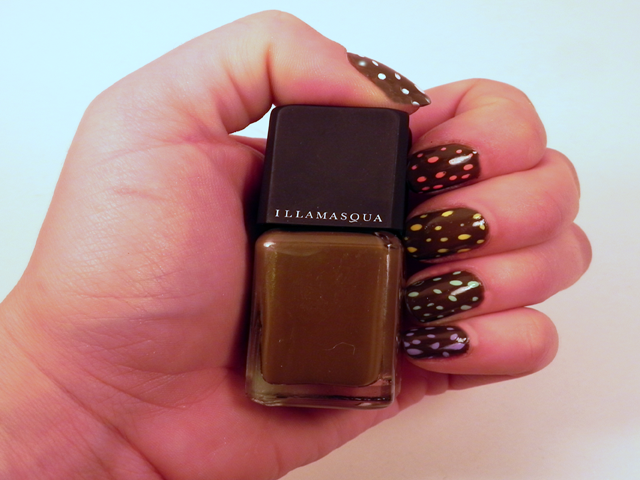 Just because it really does simulate more easter egg than polka dots AND I have the white and mint colors at home already. Same exact ones. Thanks!